This is our foundation course upon which you will continue to build your canine behaviour knowledge and skill. This course is a vital starting point and valuable building block. When? : you can start this course any time...now, if you really want to! Where? : this course is all homestudy so you can work on coursework anywhere, any time! How long? : You have three months to complete this course and assessment work. Maybe you want to try out studying in this area; this is perfect for you too! We will ask you how you would like to pay, and raise an invoice for you by which you can pay. Once all that admin is done, you will be good to go and we will send you your access details for the online area, where you will find everything you need to work on this course. Here's Part 2 Human-Canine Relationship from Canine Behaviour Foundations - an excerpt from the course manual and the webinar that goes along with it. Just click on them to download or view. Get sucked into studying all things dog! 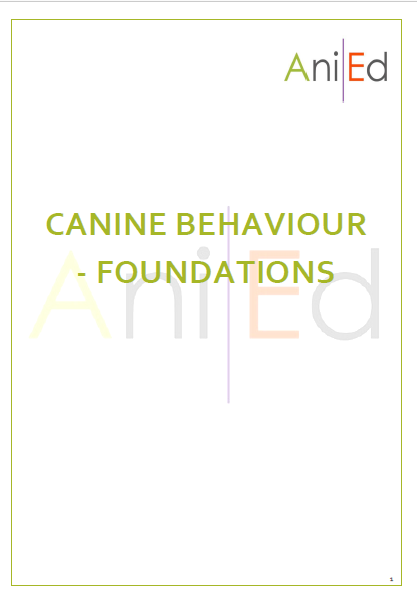 If you are serious about learning about canine behaviour, this is THE course. You will be guided through the story of the canine and human relationship, from the beginning to our modern-day understanding of canine science and training. Don't be scared! 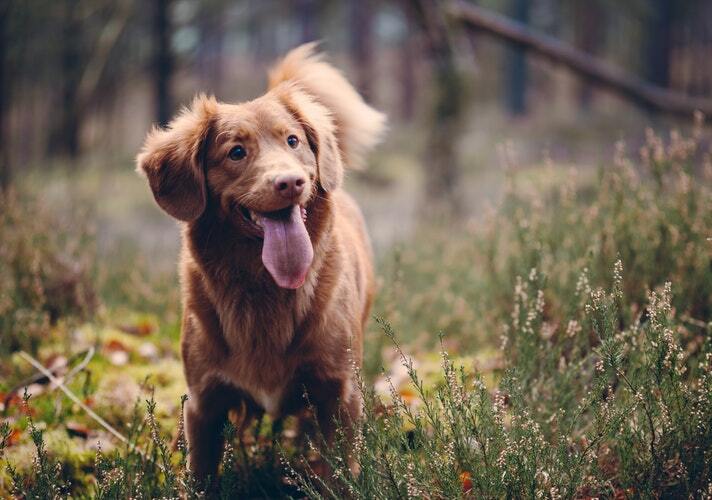 You will go on a journey of discovery, dogs revealing themselves to you, as you immerse yourself in the most up-to-date resources on canine behaviour. There are no tests or exams and assessment submission is optional - so no need to put yourself under pressure. And assessment work is essentially open-book; it's more important that you demonstrate your understanding and application of this information, than just learning by rote. wolf social behaviour - is this relevant? All assessment work is optional, unless you are completing a Specialisation and collecting points. Your Assessment Portfolio for Canine Behaviour Foundations is a workbook, that you will work through alongside your reading and practicing. There are questions and tasks pertaining to information in each Part of the course, and supplementary resources (all are provided). This includes questions, which can be answered in any suitable form (e.g. written, spoken and recorded etc. ), video and photograph analyses for studying signalling, and practical work. You must have access to one suitable dog for this practical work. 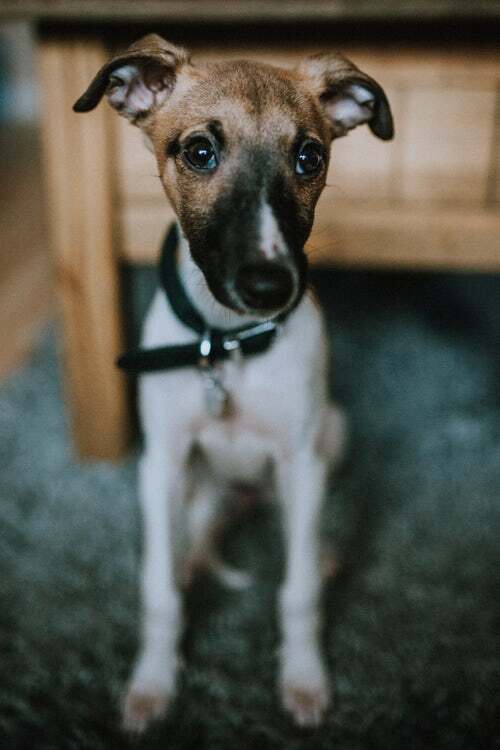 You will be asked to film you and the dog working on specific training tasks, assessing your understanding of the application of all that you have studied. 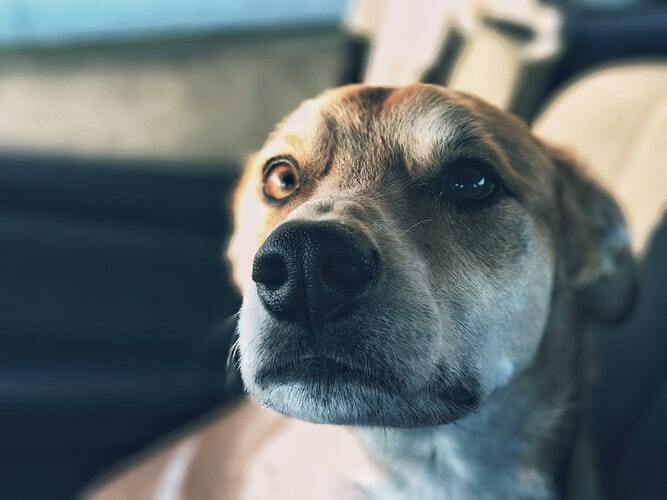 The dog doesn't need to have any training history and you will just need food rewards and similar, plus means to record and upload your footage. Assessment work is submitted electronically. Once corrected and authenticated, you will receive in-depth feedback to facilitate your continued learning. Successful students will receive an AniEd certificate, posted to you. While this course is an excellent foundation, even the best student will not gain ALL the knowledge and skills required to offer training, behaviour and related services to pets and their owners. Check out our Specialisations if you wish to build toward a career. 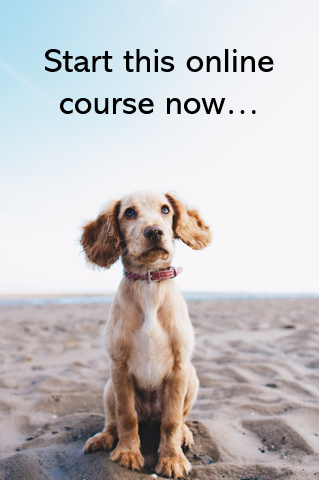 This course is, however, an excellent addition for those in various dog-care roles (groomer, RVN, kennel and rescue and so on) outside of training/behaviour, as a way of supplementing their existing skills and knowledge.